S&P/Case-Shiller is the most followed home price index these days, but CoreLogic’s Home Price Index is a really important one that provides slightly more up-to-date information. 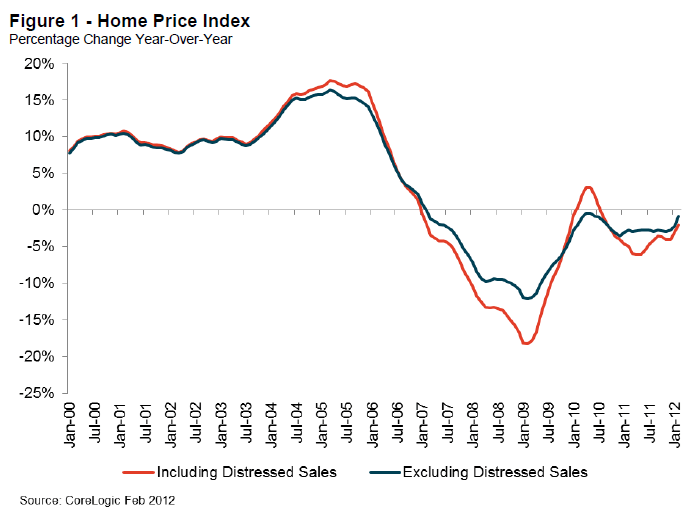 Excluding distressed sales, month-over-month prices increased 0.7 percent in February from January. 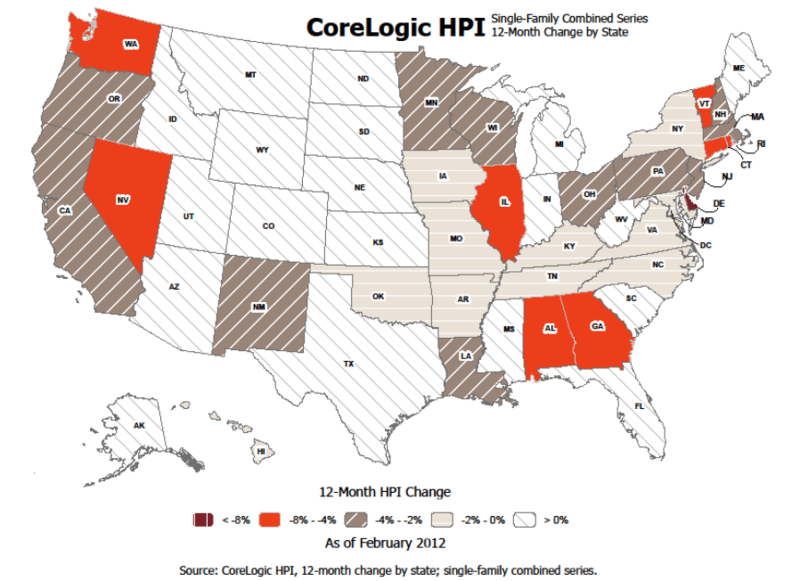 The CoreLogic HPI® also showed that year-over-year prices declined by 0.8 percent in February 2012 compared to February 2011. Distressed sales include short sales and real estate owned (REO) transactions. 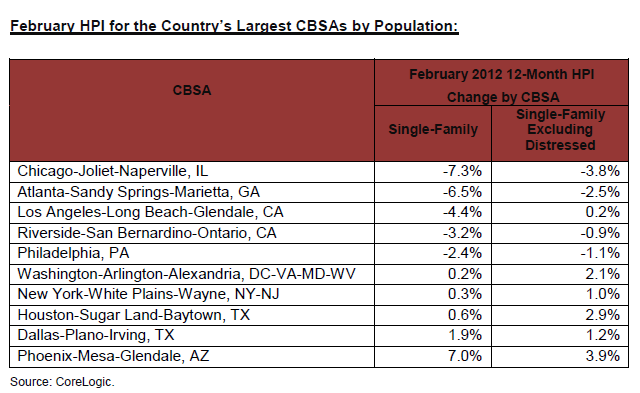 The report also shows national home prices, including distressed sales, declined on a year-over-year basis by 2.0 percent in February 2012 and by 0.8 percent compared to January 2012, the seventh consecutive monthly decline. Obviously, there’s a lot of variability across the country, but this is generally good news. We may not be at the bottom for home prices, but many signs suggest that we are close to it — or perhaps right at it now. Including distressed sales, single family home prices in Georgia are down 6.6% in the last 12 months (as of Feb.); excluding distressed sales, Georgia prices are down 3% year-over-year.